Menace Without Mandate? Is There Any Sympathy for “Dissident” Irish Republicanism in Northern Ireland? Dissident Irish Republicans have increased their violent activities in recent years. These “spoilers” reject the 1998 Good Friday Agreement power-sharing deal between Unionist and Nationalist traditions in Northern Ireland. Instead dissident IRAs vow to maintain an armed campaign against Britain’s sovereign claim to Northern Ireland and have killed British soldiers, police officers, and civilians in recent years. These groups have small political organisations with which they are associated. The assumption across the political spectrum is that, whereas Sinn Fein enjoyed significant electoral backing when linked to the now vanished Provisional IRA, contemporary violent Republican ultras and their political associates are utterly bereft of sympathy. Drawing upon new data from the Economic and Social Research Council 2010 Northern Ireland election survey, the first academic study to ask the electorate its views of dissident Republicans, this article examines whether there are any clusters of sympathy for these irreconcilables and their modus operandi. The piece assesses whether there are any demographic, structural, ideological, religious, or party trends indicating Republican dissident sympathies. It also assesses the extent to which dissidents are seen as a threat and examines whether this perception is shared evenly across Northern Ireland’s two main communities. This article investigates how shocks to state capabilities are related to the probability of civil war. Drawing on Powell (2004, 2006), shocks are conceptualized as shifts in the domestic distribution of power that can lead to bargaining breakdown and, consequently, violent conflict. Following a shock to the state’s capabilities, the leadership has incentives to grant concessions to other groups within the state, yet such promises are not credible given that the leadership may regain its strength. Similarly, opposition groups cannot make credible commitments as they expect to be more powerful in the future. Unable to commit, both actors may use force to achieve their preferred outcome. The study then analyzes how the institutional structure of the state’s leadership and opposition groups influences actors’ credibility during this bargaining process. Statistical analysis of all leaders for the 1960–2004 time period shows that shocks such as economic recession, war defeat, and changes in the international balance of power increase the risk of civil war as expected. Moreover, results confirm that the relationship between shocks and civil war is mediated by leadership type and the cohesiveness of opposition groups. While theoretical models of conflict often treat actors as unitary, most selfdetermination groups are fragmented into a number of competing internal factions. This article presents a framework for understanding the ‘‘dual contests’’ that selfdetermination groups engage in—the first with their host state and the second between co-ethnic factions within groups. Using a new data set of the number of factions within a sample of self-determination groups from 1960 to 2008, the authors find that competition between co-ethnic factions is a key determinant of their conflict behavior. More competing factions are associated with higher instances of violence against the state as well as more factional fighting and attacks on co-ethnic civilians. More factions using violence increases the chances that other factions will do so, and the entry of a new faction prompts violence from existing factions in a within-group contest for political relevance. These findings have implications for both theory and policy. This article is a study of the introduction of local financial management (LFM) to South African policing. Four forms of institutional theory are used to interpret and understand this comparative study. The conclusion of this article is that the deliberate attempt to replicate the English experience in South Africa failed because of the different ideologies and value-laden beliefs that underlay the need for change and the different dynamics of power of the interest groups that were represented in the organizational structure. The taken-for-granted organizational processes that supported the implementation of LFM in English police forces impeded implementation in South Africa. A pluralistic model rather than a single institutional perspective is shown to be beneficial in understanding institutional impacts on organizations. In particular, different perspectives help in an understanding of how culturally derived norms of behaviour can be in tension with formal rules and how the formal structure must be adaptive to the environment and culture within which people cope with uncertainty by relying on established routines. This article focuses on an often undervalued area of academic research between ‘war’ at one extreme and ‘peace’ at the other, namely the transitional period between the two. (The terms ‘war’ and ‘peace’ are used here, and throughout the article, in the knowledge that a substantial body of literature exists that seeks to define the boundaries and conditions of both. It is not the intention to engage directly with these debates, but the words war and peace are used throughout in the understanding that these are complex and multifaceted terms.) The article argues that more emphasis needs to be placed on the process of transition in the period after an agreement has been negotiated but before new structures have transformed conflict relationships. It is argued that this transitional phase is critical to the success or failure of the wider political engineering of such negotiated agreements. The article uses the case of Northern Ireland to examine this transitional moment in the wider architecture of conflict transformation within an ethnonational dispute. It is argued that the key to the success of such a fragile peace is to be found in the capacity of the transitional process itself to reduce the political logic of violence among the direct actors and their supporters. It is also argued that we need to be sensitive to the differential pace of this transitional process across both the formal and informal political spheres and to the possibility that these can take multiple or even contradictory paths. Many countries complete tenuous transitions to democracy and must work to prevent an authoritarian reversal, which is often at the hands of the military. One of the most important tools the new government has in dealing with the military is the amount of money allocated to the military. This leads to the question, how does government military spending in post-transition democratic countries affect the chances of democratic transition failure? The extant literature provides two answers. The first is to increase military spending to placate the military; the second is to decrease military spending to weaken the military and address social welfare needs. The article tests these two hypotheses by examining democratic transitions from 1967 to 1999 using both logit and survival analysis methods. The results of the study provide robust support for the hypothesis that decreasing military spending decreases the likelihood of a democratic transition failure. Beyond Kantian Liberalism: Peace through Globalization? Although globalization has become one of the most salient issues in the study of international relations during the past few decades, its net effect on international conflict remains unexplored. I argue that although the manifold phenomena of globalization may conflict (i.e. produce both positive and negative influences), its overall consequences help foster a common peaceful disposition among national leaders who are then less likely to resort to arms in times of crisis. Based on a cross-sectional, time-series dyadic data analysis for 114 countries during the period from 1970 to 2001, this study reports that socio-economic and political globalization in its entirety generates a dampening effect on militarized interstate disputes. Even when common conflict-related control variables such as democracy, economic interdependence, joint membership in international organizations, and others are incorporated into the analysis, globalization emerges as the most powerful explanatory variable. Consequently, globalization when taken in its entirety represents an unambiguous force for interstate peace. 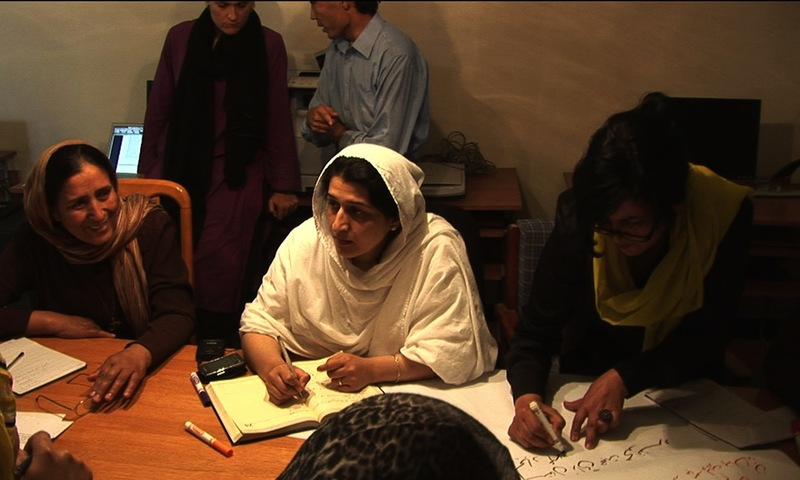 The article sketches the tension between power-sharing as a form of conflict resolution and the implementation of WPS norms in peace processes. It begins with an exploration of each process, before considering how the cases have broached the relationship between power-sharing and women’s representation. This article explores the use of political memory in examining, and providing indicators for, everyday processes of peacebuilding in divided societies, using Northern Ireland as a brief case study. Adopting a position critical of many formal peacebuilding indicators, the article argues for the utility of informal, ‘high resolution’ indicators that can be supplied by examining localized and everyday forms of post-conflict memory. In so doing, the article views the ‘dealing with the past’ and reconciliatory paradigm of social memory in identity driven conflicts as being inadequate for this purpose, and instead posits a more nuanced form of examining memory as a political arena. A case study of political memory in east Belfast is introduced to illustrate both the need for nuance in highlighting localized activity, and need to better reflect a complex and ambiguous peacebuilding environment. Suggestions for methodological approaches geared to capturing processes of everyday political memory, and how these processes can inform praxis, concludes the study. Conflict appears more often between neighboring states. Adjacency generates interaction opportunities and arguably more willingness to fight. We revisit the nature of the border issue and measure geographical features likely to affect states’ interaction opportunities as well as their willingness to fight. We do so for all on-shore borders from the period 1946–2001. Although each border is unique, a general result shows that the longer the border between two states, the more likely they are to engage in low-intensity conflict. This is particularly so for conflicts active during the Cold War and located in highly populated border regions. This article introduces a new dataset on post-conflict justice (PCJ) that provides an overview of if, where, and how post-conflict countries address the wrongdoings committed in association with previous armed conflict. Motivated by the literature on post-conflict peacebuilding, we study justice processes during post-conflict transitions. We examine: which countries choose to implement PCJ; where PCJ is implemented; and which measures are taken in post-conflict societies to address past abuse. Featuring justice and accountability processes, our dataset focuses solely on possible options to address wrongdoings that are implemented following and relating to a given armed conflict. These data allow scholars to address hypotheses regarding justice following war and the effect that these institutions have on transitions to peace. This new dataset includes all extrasystemic, internationalized internal, and internal armed conflicts from 1946 to 2006, with at least 25 annual battle-related deaths as coded by the UCDP/PRIO Armed Conflict Dataset. The post-conflict justice (PCJ) efforts included are: trials, truth commissions, reparations, amnesties, purges, and exiles. By building upon the UCDP/PRIO Armed Conflict Dataset, scholars interested in PCJ can include variables regarding the nature of the conflict itself to test how PCJ arrangements work in different environments in order to better address the relationships between justice, truth, and peace in the post-conflict period. This article extends the formal logic of Stathis Kalyvas’ theory of selective violence to account for three political actors with asymmetric capabilities. In contrast to Kalyvas’ theory, the authors’ computer simulation suggests that (1) selective violence by the stronger actor will be concentrated in areas where weaker actors exercise control; (2) the relative level of selective violence used by weaker actors will be lower because of a reduced capacity to induce civilian collaboration; and (3) areas of parity among the three actors will exhibit low levels of selective violence perpetrated primarily by the strongest actor. Results from a logistic regression, using empirical data on Israel and two rival Palestinian factions from 2006 to 2008, are consistent with these predictions: Israel was more likely to use selective violence in areas largely controlled by Palestinian factions; zones of incomplete Israeli control were not prone to selective violence; and zones of mixed control witnessed moderate levels of selective violence, mainly by Israel. Nonetheless, Palestinian violence remained consistent with Kalyvas’ predictions. Post-conflict states represent an important research agenda for scholars studying foreign direct investment (FDI). While leaders of post-conflict states have strong incentives for trying to attract international investments, multinational corporations (MNCs) may view these states as high-risk since the reoccurrence of violence in the aftermath of civil conflict is common. Consequently, leaders of post-conflict states desperate to receive FDI to help ignite their stalled economies must convince MNCs that their state is a stable and secure place to invest in. Drawing on the recent literature that identifies the importance of domestic and international institutions for securing FDI, this article argues that post-conflict justice (PCJ) institutions can help post-conflict states attract investment. The domestic and reputation costs associated with implementing PCJ allow states to send a costly and credible signal to international investors about the state’s willingness to pursue the successful reconstruction of the post-conflict zone. Under these conditions, uncertainty is lessened and foreign investors can feel more confident about making investments. Post-conflict states, therefore, that choose to implement PCJ are more likely to receive higher levels of FDI compared with post-conflict states that refrain from implementing these institutions. Statistical tests confirm the relationship between justice institutions and FDI from 1970–2001. Post-conflict states that implement restorative justice processes in the post-conflict period receive higher levels of FDI than those countries that do not implement a process. With the increasing influence of theocrats and other religious actors on policymakers and masses, recognising the agency of the clergy is crucial. This article uses the ‘epistemic communities’ framework to place the religious ‘agents’ in contemporary politics and it shows how hermeneutics can be treated as a form of ‘episteme’. Until recently, this framework has been used to explain how scientific communities affect policymaking. Using the cases of South Africa and Northern Ireland, this article claims that religious actors, especially with their shared set of normative and principled beliefs as well as shared norms of validity, also meet the requirements of the epistemic community category. The employment of this established IR framework in theorising religious politics has the potential to shed light not only on peacebuilding and mediation, but also violent movements and terrorist organisations that use religion as justification. Offering the most in-depth account available of one of the most baffling and intractable of Africa’s conflicts, the book unravels the tangled web of the war by addressing four questions: Why did Nigeria intervene in Liberia and remain committed throughout the seven-year civil war? To what extent was ECOMOG’s intervention shaped by Nigeria’s hegemonic aspirations? What domestic, regional, and external factors prevented ECOMOG from achieving its objectives for so long? And what factors led eventually to the end of the war? In answering these questions – drawing on previously restricted ECOWAS and UN reports and numerous interviews with key actors – Adebajo sheds much needed light on security issues in West Africa. The concluding chapter assesses the continuing insecurity in Liberia under the repressive presidency of Charles Taylor and its destabilizing effect on the entire West Africa sub-region. This report continues the United Nations Environment Programme’s (UNEP) investigation of the impacts of the Kosovo conflict. It extends the body of knowledge about the environmental impacts of the conflict, and about the urgent environmental challenges facing FYR of Macedonia. The report should provide a useful tool for international community members seeking to assess FYR of Macedonia’s needs and assist the country. It also underscores the importance of environmental management during humanitarian assistance efforts. To conduct the assessment, UNEP drew on the skills of international experts from various scientific and environmental policy disciplines. During a field mission to FYR of Macedonia, the team visited refugee camps and environmental ‘hot spots’, including neglected industrial sites. The team also took samples and analyzed various environmental and human settlement data. I would like to thank this dedicated and highly skilled team for their hard work. What do Disneyland, the Abu Ghraib U.S. military prison, the Mall of America, and the Y-12 nuclear security complex in Oak Ridge, Tennessee have in common? They have wildly different purposes, but they share a common characteristic as employers of private police. This answer–indicative of the prevalence and numbers of private police today–would have struck the nineteenth-century observer as evidence of a gross failure by the state. Yet that reaction, in turn, would seem odd to us. Vocal support of private police can be found among public police chiefs, lawmakers, and even President Bush. What kinds of criticisms were once leveled at private police by public officials? How did one attitude, deeply skeptical of private police, evolve into another that sees heavy reliance upon private policing as beneficial, or at least benign? Here, I take a fresh look at the dynamics of that change, and by doing so, restore to their proper place fundamental questions about the use of police who are privately financed and organized in a democratic society. These questions, and the violent history that midwived them, have been largely and undeservedly forgotten by the legal literature. Using this historical perspective, I examine the shifting status of private policing: first, by examining the history of public criticism directed against them; second, by recounting the partnership model that first gained a foothold in studies sponsored by the federal government in the 1970s and 1980s; and third, by questioning the meaning and intentions behind the idea of partnership advanced today. This article examines international interventions in the aftermath of civil wars to see whether peace lasts longer when peacekeepers are present than when they are absent. Because peacekeeping is not applied to cases at random, I first address the question of where international personnel tend to be deployed. I then attempt to control for factors that might affect both the likelihood of peacekeepers being sent and the ease or difficulty of maintaining peace so as to avoid spurious findings. I find, in a nutshell, that peacekeeping after civil wars does indeed make an important contribution to the stability of peace. This book examines how well United Nations peacekeeping missions work after civil war. Statistically analyzing all civil wars since 1945, the book compares peace processes that had UN involvement to those that didn’t. Authors argue that each mission must be designed to fit the conflict, with the right authority and adequate resources. UN missions can be effective by supporting new actors committed to the peace, building governing institutions, and monitoring and policing implementation of peace settlements. But the UN is not good at intervening in ongoing wars. If the conflict is controlled by spoilers or if the parties are not ready to make peace, the UN cannot play an effective enforcement role. It can, however, offer its technical expertise in multidimensional peacekeeping operations that follow enforcement missions undertakien by states or regional organizations such as NATO. Finding that UN missions are most effective in the first few years after the end of war, and that economic development is the best way to decrease the risk of new fighting in the long run, the authors also argue that the UN’s role in launching development projects after civil war should be expanded. Since the end of the Cold War, sub-Saharan African states have substantially increased their participation in international peacekeeping operations in Africa. Their contributions have become highly valued and even facilitated by major powers. This article examines why certain African states might contribute more than others to peacekeeping. In particular, prominent arguments are considered about the primacy of regime security concerns and the dynamics of warlord politics in the foreign policymaking of African states, the economic incentives of peacekeeping, and the importance of African states’ concerns over their state legitimacy and territorial integrity. First, this study investigates the possibility that peacekeeping might be utilized as a diversionary strategy to divert the attention of both an African state’s military and major powers from a regime’s misrule. Second, this study examines the extent to which financial and material assistance from donor states encourages poorer states to engage in peacekeeping. Third, the study investigates whether states with less legitimate and more arbitrary borders might have greater incentive to contribute to peacekeeping operations to promote the territorial status quo in Africa. Empirical evidence from a quantitative analysis across 47 states of sub-Saharan Africa from 1989 to 2001 suggests that states that are poorer, with lower state legitimacy and lower political repression, participate more often in regional peacekeeping. One of the most pressing issues in the post-conflict reconstruction field is how to prioritize and sequence political, social, and economic policies to enable post-conflict countries to sustain peace and reduce the risk of violence re-occurring. Analyzing three cases of post-conflict reconstruction (Cambodia, Mozambique, and Haiti) and expert opinions of 30 academicians and practitioners, this study identifies major reconstruction policies, outlines the preferred way to prioritize and sequence them, and develops a framework to help policymakers better navigate the complexities and challenges of forming appropriate policies. This study examines the effect of biased versus neutral mediation on the content of peace agreements. The author argues that neutral mediators, who are engaged primarily because of their interest to end the war, will have incentives to hasten the reaching of an agreement to the expense of its quality. By contrast, biased mediators, seeking to protect their proteges, will take care to ensure that there are stipulations in an agreement guaranteeing the interest of ‘their’ side or use their particular access and leverage to make their side agree to costly concessions. Biased mediation processes are therefore more likely than neutral mediation processes to lead to elaborated institutional arrangements that are generally considered conducive to democracy and durable peace, such as power sharing, third-party security guarantees, and justice provisions. Empirical analysis, covering the 1989-2004 period and building on data from 124 peace agreements, supports these claims. Based on the study of every internationally negotiated civil war settlement between 1980 and 1998, this volume presents the most comprehensive effort to date to evaluate the role of international actors in peace implementation. It looks into promises made by combatants in peace agreements and examines when and why those promises are fulfilled. The authors differentiate between conflicts, showing why Guatemala is not Bosnia, and why strategies that succeed in benign environments fail in more challenging ones. Going beyond attributing implementation failures to a lack of political will, the volume argues that an absence of political will reflects the judgment of major powers of the absence of vital security interests. Overall, the authors emphasize that implementers must tailor their strategies and give priority to certain tasks in implementation, such as demobilizing soldiers and demilitarizing politics, to achieve success. This study examines factors that predict the formation of territorial autonomy arrangements for regionally concentrated ethnic communities. Territorial autonomies are institutional arrangements that allow ethnic groups to express their distinct identities while keeping the borders of host states intact. Although an extensive literature has investigated the capacity of autonomy arrangements to manage interethnic disputes, little research has addressed the precise origins of these institutions. The existing literature considers violent tactics as a primary factor that enables ethnic collectivities to attain territorial autonomy. In this study, the reasoning from the extant literature is juxtaposed with the arguments developed in the research on nonviolent opposition. Nonviolent movements enjoy moral advantage vis-a?-vis violent groups. Moreover, peaceful tactics have the advantage of garnering attention for the concerns of ethnic groups without the liability of provoking the animosity or distrust created by violent conflict. Based on the analysis of a dataset representing 168 ethnic groups across 87 states from 1945 to 2000, it is found that the peaceful tactics groups employ when seeking greater self-rule is the single strongest predictor of the formation of autonomy arrangements. In particular, this study concludes that groups that rely on peaceful tactics, such as protests and strikes, and demand territorial autonomy, as opposed to an outright independence, have a greater potential to achieve territorial autonomy in comparison to those groups making extreme demands through the use of violence. Establishing the rule of law is increasingly seen as the panacea for all the problems that afflict many non-Western countries, particularly in post- conflict settings… This Article argues that this newfound fascination with the rule of law is misplaced… This Article proceeds as follows: Part I traces the historical origins of the links among security, development, and human rights discourses since World War II and identifies some recurring themes, despite real differences among them. Part I also points out the ways in which the lines among these discourses began blurring since the 1970s and during the post-Cold War period, especially in the context of peace operations. Part II discusses the convergence between the human rights and rule of law discourses in the post-Cold War period, but also points out the continuing differences between the two. Part III examines the meaning of the rule of law in the context of development and finds that the rule of law is no substitute for human rights. Part III also questions whether the rule of law is even a key requirement for successful economic growth. Part IV examines the meaning of the rule of law in the context of security and finds that reliance on this concept cannot hide the more fundamental question of legitimacy in the post-9/11 world. In the field of security, it would not be prudent to lessen the reliance on the discourse of human rights for the fuzzier discourse on the rule of law. The Conclusion then offers some reflections on the lessons that have been learned about how best to capture the synergy that may exist between different fields of international interventions in the security, development, and human rights policy domains. The United States has consistently failed to deal with the breakdown in public order that invariably confronts peace and stability operations in internal conflicts. Analysis of experience in Panama, Somalia, Haiti, the Balkans and Iraq demonstrates that indigenous police forces are typically incapable of providing law and order in the immediate aftermath of conflict, and so international forces must fill the gap – a task the US military has been unwilling and unprepared to assume. After 20 years of lessons learned (and not learned), this article argues that the United States must develop a civilian ‘stability force’ of constabulary and police personnel deployable at the outset of on operation to restore public order and lay the foundations for the rule of law. Does peacekeeping intervention improve the human rights situation in states with a history of civil war? While this question has received a myriad of attention and debate within the human rights community, there have been relatively few studies that attempt to answer this question. Examining the characteristics of peacekeeping following civil war from 1980 to 2004, this article finds that peacekeeping can both encourage and undermine respect for human rights. Specifically, the mission and activities of peacekeepers matter. These findings support the human rights community’s stance that peacekeeping can be problematic but holds promise for human rights in post-conflict states. This article highlights how the instruments for addressing the presumed source(s) of armed violence need to be sharpened and extended to address the heterogeneous character of armed violence present in many post-conflict situations. These extensions require the development of practical armed violence prevention and reduction programmes that draw upon scholarship and practice from the criminal justice and public health sectors. The article argues that reducing organized violence and insecurity in post-conflict contexts requires responding to the wider dynamics of armed violence rather than focusing exclusively on insecurity directly connected to what are traditionally defined as armed conflict and post-conflict dynamics; and this requires attention not just to the instruments of violence, but also to the political and economic motives of agents and institutions implicated in violent exchanges at all levels of social interaction. We have argued in Electing to Fight and other writings that an incomplete democratic transition increases the risk of international and civil war in countries that lack the institutional capacity to sustain democratic politics. The combination of increasing mass political participation and weak political institutions creates the motive and the opportunity for both rising and declining elites to play the nationalist card in an attempt to rally popular support against domestic and foreign rivals. Vipin Narang and Rebecca Nelson, in their critique of Electing to Fight, agree that incompletely democratizing countries with weak institutions may be at greater risk of civil war, but they are skeptical that this extends to international war except when opportunistic neighbors invade failing states. Whereas we argue that nationalism is a key causal mechanism linking incomplete democratization to both civil and international war, they conjecture that weak institutions and state failure are probably sufficient to explain why such countries may be at greater risk of armed conflict. In contrast, we have found that weak political institutions generally have little effect on a state’s risk of involvement in external war when considered separately from incomplete democratization. We welcome the opportunity to advance this important debate by highlighting relevant portions of our previous research and summarizing some new findings on international and civil wars. Support for our argument rests on statistical tests and extensive case studies that trace causal processes in detail. We have presented statistical results showing the greater likelihood of war involvement for incompletely democratizing states with weak political institutions between 1816 and 1992, the greater propensity of democratizing states to engage in militarized interstate disputes, and the increased risk of civil war in incompletely democratizing states. We have also published case studies of all of the democratizing great powers since the French Revolution, all the democratizing initiators of interstate war in our statistical study, all the post-Communist states, paired comparisons of postcolonial states, and several wars involving democratizing states in the 1990s. Since we published Electing to Fight in 2005, elections have heightened identity politics and fueled cross-border violence in weakly institutionalized regimes in Georgia, Iraq, Lebanon, and the Palestinian territories. To try to advance the debate, we will address the main points on which Narang and Nelson have criticized our evidence and methods, and then we will discuss issues for further research. This case-study of the ANC in South Africa is one of a series produced by participants in an ongoing Berghof research project on transitions from violence to peace. The project’s overall aim is to learn from the experience of those in resistance or liberation movements who have used violence in their struggle but have also engaged politically during the conflict and in any peace process. Recent experience around the world has demonstrated that reaching political settlement in protracted social conflict always eventually needs the involvement of such movements. Our aim here is to discover how, from a non-state perspective, such political development is handled, what is the relationship between political and military strategies and tactics, and to learn more about how such movements (often sweepingly and simplistically bundled under the label of non-state armed groups) contribute to the transformation of conflict and to peacemaking. We can then use that experiential knowledge (1) to offer support to other movements who might be considering such a shift of strategy, and (2) to help other actors (states and international) to understand more clearly how to engage meaningfully with such movements to bring about political progress and peaceful settlement. A significant number of countries worldwide are described as entering a phase of `post’-conflict transition. Drawing on the experience of the health sector, this paper argues that the nature of the rehabilitation task is often misunderstood. In particular, it is often equated with reconstruction of war-damaged infrastructure and assets. Such an approach derives from a misconception of the origins and nature of contemporary warfare. It also serves to reinforce a linear approach to the transition from relief to development. This paper attempts to redefine the rehabilitation task in situations of `post’-conflict transition, drawing on examples from Cambodia, Ethiopia and Uganda. It argues that the direct effects of military action on the social sector are less significant than the indirect effects of political, economic and social changes which both underlie and are precipitated by conflict. Therefore, rehabilitation needs to go beyond reconstruction and tackle the root causes of instability. Such a reinterpretation of the rehabilitation task raises a number of dilemmas, particularly for international actors concerned to contribute to a sustainable peace. These dilemmas are rooted in both the uncertainty about the legitimacy of incoming governments in transitional situations, and in the organisation of the aid system itself. The paper concludes that confronting these dilemmas implies a fundamental change in the orientation and delivery of aid in `post’-conflict situations. Many conflict-affected countries are among the most corrupt in the world, and corruption is frequently reported as a major concern of local populations and foreign aid agencies during transition to peace. Tackling corruption is part of liberal peacebuilding, which seeks to consolidate peace through democracy and free markets economy. Yet liberalization policies may also foster corruption. Using a preliminary analysis of selected corruption perception indicators, this article finds tenuous and divergent support for post-conflict patterns of corruption. Three main arguments linking liberal peacebuilding with higher levels of corruption are then presented for further elaboration, and a research agenda is outlined. This article presents new data on the start and end dates and the means of termination for armed conflicts, 1946-2005. These data contribute to quantitative research on conflict resolution and recurrence in three important respects: the data cover both interstate and intrastate armed conflicts, the data cover low-intensity conflicts, and the data provide information on a broad range of termination outcomes. In order to disaggregate the UCDP-PRIO Armed Conflict dataset into multiple analytical units, this dataset introduces the concept of conflict episodes, defined as years of continuous use of armed force in a conflict. Using these data, general trends and patterns are presented, showing that conflicts do not exclusively end with decisive outcomes such as victory or peace agreement but more often under unclear circumstances where fighting simply ceases. This pattern is consistent across different types of conflict, as is the finding that victories are more common in conflicts with short duration. The article then examines some factors that have been found to predict civil war recurrence and explores whether using the new dataset produces similar results. This exercise offers a number of interesting new insights and finds that the determinants for civil war recurrence identified in previous research are sensitive to alternate formulations of conflict termination data. The findings suggest that intrastate conflicts are less likely to recur after government victories or after the deployment of peacekeepers. If the previous conflict is fought with rebels aiming for total control over government or if the belligerents mobilized along ethnic lines, the risk of recurrence increases. The discrepancy in findings with previous research indicates the need for further study of conflict resolution and recurrence, for which this dataset will be useful. The general aim of the paper is to examine conclusions stemming from empirical research and contribute to the studies on the possibility of ethnic conflict prevention. The analysis has the following goals: a) Exploration of case study related to the situation of the Hungarian minority in Romania since the overthrow of Nicolae Ceausescu and the 1990 confrontation to the results of 2000 elections and their aftermath. b) Discussion on practical lessons for ethnic conflict prevention that could be drawn from the case after ten years of developments. c) Formulation of initial conclusions concerning the relevance of the Romanian experience for a model of ethnic conflict dynamics. We define nation-building as efforts carried out after major combat to underpin a transition to peace and democracy. Nationbuilding involves the deployment of military forces, as well as comprehensive efforts to rebuild the health, security, economic, political, and other sectors. The research we conducted focused on one aspect of nation-building-efforts to rebuild the public health and health care delivery systems after major combat. We looked at seven cases- Germany, Japan, Somalia, Haiti, Kosovo, Afghanistan, and Iraq. These are some of the most important cases since World War II in which international institutions, non-governmental organizations (NGOs), and countries such as the United States have taken part in efforts to rebuild the health sector. These missions also have important health components. To date, a significant amount of academic and policy-relevant work has been devoted to efforts to rebuild such areas as police and military forces. Little comprehensive work has examined efforts to rebuild public health and health care delivery systems, however. The work that has been done on health tends to focus on immediate humanitarian and relief efforts rather than long-term health reconstruction. The goal of our research was to fill this void. The long-running conflict over the sovereignty of Western Sahara has involved all the states of northwest Africa and many beyond since Spain ceded the territory to Morocco and Mauritania in 1976. Erik Jensen traces the evolution of the conflict-from its colonial roots to its present manifestation as a political stalemate. Jensen reviews the history of the dispute, describes the quest by the UN and interested states to facilitate a process of self-determination through a referendum on independence versus integration with Morocco, and explores the impasse over how to determine who should be allowed to vote in such a referendum. He then turns to the more recent efforts of UN Secretary-General Kofi Annan’s personal envoy for Western Sahara, James Baker, to resolve the conflict. Despite Baker’s 2003 peace plan, the government of Morocco and the Polisario Front remain at odds, and the stalemate continues. After a brief introduction, this contribution comprises a tabular inventory of the 69 UN peace missions since the end of the Cold War. It highlights the structural features of each mission, the background to crisis and the mission’s contributions to security, socio-economic well-being, governance, justice and reconciliation. This report seeks to address the question “what happens to protagonists for change once that change has been achieved?” by analysing the transformations of peace/human rights civil society organisations (CSOs) during peace processes and democratic transitions in South Africa and Guatemala. Section one clarifies the analytical ground by exploring the conceptual roots, definitional boundaries, organisational and functional characteristics, and normative understanding of CSOs, from an interdisciplinary perspective. Section two adopts a more dynamic approach, assessing the organisational and functional shifts undergone by CSOs during and in the aftermath of peace processes and democratic transitions. This literature survey is then followed, in sections three and four, by two empirical studies on CSOs in South Africa and Guatemala, where interviews were collected in April 2007 with current and former members of relevant organisations. The conclusion, finally, draws a brief comparative summary of the main findings in both case studies, and derives a few conceptual and practical implications for the research, CSO and international donor communities. The rule of law is more than a legal concept. It encompasses more than an established set of rules and legal institutions. In the case of Liberia, there can be no rule of law without the commitment of those relatively few people who administer those rules on behalf of a post-conflict state that has endured twenty-five years of civil war and exploitation. This Essay seeks to prove that existing legal architecture and institutions in a post-conflict state matter less to the rule of law than does the character of the people who run the legal system. The Essay does not suggest that legal rules are, or should be, subordinate to personality in the orderly functioning of a postconflict society. However, it concludes that emphasis on creating new laws to address the perceived causes of state failure will ultimately accomplish little if the judges and lawyers who operate the legal system are not genuinely committed to the rule of law. This argument is developed by outlining, in very broad terms, the pre-conflict Liberian legal system and how it failed to serve as a meaningful bulwark against warlord predators. Then, the Essay focuses on a particular case, decided by Liberia’s Supreme Court on August 23, 2007, involving Liberia’s former head of state, Charles Gyude Bryant, who served as chairman of the National Transitional Government of Liberia (NTGL) from October 2003 until the inauguration of Liberia’s current President, Ellen Johnson-Sirleaf, on January 16, 2006. The Bryant case provides an example of how the presidential immunity provision in Liberia’s Constitution was invoked in an attempt to trump the rule of law with the rule of impunity, and how the Supreme Court of Liberia’s judgment offers hope for a better day in Liberia’s legal future, notwithstanding the divided opinion of the Court. The post-World War II occupations of Germany and Japan set standards for postconflict nation-building that have not since been matched. Only in recent years has the United States has felt the need to participate in similar transformations, but it is now facing one of the most challenging prospects since the 1940s: Iraq. The authors review seven case studies – Germany, Japan, Somalia, Haiti, Bosnia, Kosovo, and Afghanistan – and seek lessons about what worked well and what did not. Then, they examine the Iraq situation in light of these lessons. Success in Iraq will require an extensive commitment of financial, military, and political resources for a long time. The United States cannot afford to contemplate early exit strategies and cannot afford to leave the job half completed. This study contains the results of research on best practices in nationbuilding. It is intended to complement a companion volume, America’s Role in Nation-Building: From Germany to Iraq, which focuses on U.S.-led nationbuilding efforts. Its purpose is to analyze United Nations military, political, humanitarian, and economic activities in post-conflict situations since World War II, determine key principles for success, and draw implications for future nation-building missions. The study contains the lessons learned from eight UN cases: Belgian Congo, Namibia, El Salvador, Cambodia, Mozambique, Eastern Slavonia, Sierra Leone, and East Timor. It also examines the nationbuilding effort in Iraq. Countries in post-conflict transitions have to reconcile the development challenge with the additional burden of reconstruction and national reconciliation. This paper first describes the peculiarities of these countries which make them clearly different from those pursuing normal development. Second is a discussion of the challenges that these transitions pose on the countries involved and on the international organizations that support them. Third, the paper illustrates through a discussion of El Salvador—by all standards a success story—how the International Monetary Fund and the United Nations had to adapt to meet the challenges of post-conflict reconstruction. The paper concludes with some policy recommendations. This article analyzes the effects of household-level activity choices on farm household welfare in a developing country affected by mass violent armed conflict. The study uses household survey data from postwar Nampula and Cabo Delgado provinces in Northern Mozambique capturing many activity choices, including market participation, risk and activity diversification, cotton adoption, and social exchange, as well as income-and consumption-based measures of welfare. The study advances the literature on postwar coping and rural poverty at the micro level by estimating potentially endogenous activity choices and welfare outcomes using instrumental variables. The study finds that increasing the cultivated area and on-farm activities enhances postwar welfare of smallholders exploiting wartime survival techniques. Subsistence farming reduces income but does not affect consumption, while market participation has positive welfare effects. This suggests that postwar reconstruction policies should encourage the wartime crop mix but offer enhanced marketing opportunities for such crops. Cotton adoption, which was promoted by aid agencies in the postwar period, reduces household welfare per capita by between 16% and 31%, controlling for market access. This contradicts previous studies of postwar rural development that did not control for the war-related endogeneity. Hence, addressing the potential endogeneity of activity choices is important because the standard regression approach may lead to biased estimates of the impact of activity choice on welfare, which in turn may lead to biased policy advice. The article discusses and contextualizes these findings, concluding with a discussion of suitable pro-poor reconstruction policies for national governments and donors. In the aftermath of violent conflict, how do the economic challenges of statebuilding intersect with the political challenges of peacebuilding? How can the international community help lay the fiscal foundations for a sustainable state and a durable peace? In their new edited volume, Peace and the Public Purse, James Boyce, (Director of PERI’s Development, Peacebuilding, & the Environment Program), and Madalene O’Donnell (United Nations Department of Peacekeeping Operations) lift the curtain that often has separated economic policy from peace implementation. Postwar governments face immediate demands for restoration of basic services, jobs, and public security. To raise revenues to meet these pressing needs, they must contend with local powerbrokers who levy their own informal taxes, economic elites determined to retain special privileges and immunities, and a populace skeptical about the state’s ability to deliver services in return for taxes. Drawing on recent experiences in war-torn societies such as Uganda, Cambodia, Bosnia, Guatemala, Timor-Leste, Afghanistan, and Palestine, this book brings to life a key dimension of how peace and states are built. In recent years, senior UN officials have raised concerns about the decline of Western contributions to UN peace operations. Although this is a worrying trend for supporters of the UN, it does not mean that the West is playing a smaller role in peace operations per se. Instead, the West has increased its contribution to `hybrid’ peace operations and missions that take place outside of the UN system. This article examines the West’s contribution to both UN and non-UN peace operations since the Brahimi Report and assesses whether its contribution has markedly changed and what impact any changes have had on international peace and security. It proceeds in three sections. The first provides a historical overview of the West’s ambivalent relationship with UN peace operations since 1948. The second analyses the West’s contribution to UN, hybrid and non-UN peace operations. The final section explores what Western policies mean for international peace and security by assessing their impact on the UN’s authority, the extent to which they save lives and their contribution to building stable peace. The article concludes that while in the short term the West’s willingness to participate in hybrid operations displays a commitment to finding pragmatic solutions to some difficult problems, over the longer term this approach may weaken the UN’s ability to maintain international peace and security. The interesting theoretical question about civil war in general is not why it begins (the possible reasons are surely too many to enumerate) or why it stops (all sorts of contingent explanations from simple fatigue to outside force may apply) but why it so often does not resume when it might. We need to comprehend this process of conflict transformation, whereby the conflict either becomes less important or is pursued without using mass violence. Understandably, most analyses and prescriptions for peacemakers focus on relationships between former enemies and attempts to reduce incentives for them to take up arms again. However, a recent analysis of four negotiated settlements of civil wars (Sudan in 1972, Zimbabwe in 1980, Chad in 1987, and Lebanon in 1989) reveals that in all four cases the critical conflict was actually between former allies. The compromises required in negotiated settlements, combined with the other problems of post-civil war societies, make such conflicts likely. In some cases they led to violence; in Zimbabwe and Lebanon conflict again reached the level of civil war. However, the ironic results was that the countries that had experienced the most violence subsequently produced new settlements which essentially confirmed the original ones and appear to be holding. In Sudan, interallied violence was quite low, but the result was that the government changed its policy, the first settlement was undermined, and the original civil war began again. Outsiders should not assume either that wartime cooperation will continue in peace or that `normal’ peacetime behavior will naturally appear of its own accord. Indeed, they should probably anticipate that ad hoc wartime alliances are likely to dissolve with the risk of renewed civil violence. This article clarifies the origins of the field of transitional justice and its preliminary conceptual boundaries. I argue that the field began to emerge in the late 1980s, as a consequence of new practical conditions that human rights activists faced in countries such as Argentina, where authoritarian regimes had been replaced by more democratic ones. The turn away from “naming and shaming” and toward accountability for past abuse among human rights activists was taken up at the international level, where the focus on political change as “transition to democracy” helped to legitimate those claims to justice that prioritized legal-institutional reforms and responses—such as punishing leaders, vetting abusive security forces, and replacing state secrecy with truth and transparency—over other claims to justice that were oriented toward social justice and redistribution. I end by discussing the many ways in which these initial conceptual boundaries have since been tested and expanded. Transitional justice strategies are frequently considered to be necessary components of postconflict reconciliation processes, particularly in societies that have been deeply divided by histories of intrastate violence between antagonistic identity groups. Drawing on recent social psychological research into the dynamics of intergroup reconciliation, this article contends that the transitional justice strategies most successful in promoting postconflict reconciliation are those that take account of the collectivized nature of mass violence in divided societies and that seek to foster instrumental, socioemotional and distributive forms of ‘social learning’ among former enemies. This framework is used to assess the unique local programme of ‘decentralized’ transitional justice that emerged in Northern Ireland following the Belfast Agreement of 1998 and its contribution to ongoing processes of reconciliation between local nationalist and unionist communities. The article concludes by considering what insights this analysis of Northern Ireland’s decentralized local process might have for the broader field of transitional justice and for the design of future justice interventions in deeply divided societies. Reconstructing the financial system in countries affected by violent conflict is crucial to successful and broad-based recovery. Particularly important tasks include: currency reform, rebuilding (or creating) central banks, revitalising the banking sector, and strengthening prudential supervision and regulation. Encouragement of private capital into the banking sector must be balanced by protection of the public interest, a task made more difficult by the nature of war-to-peace transition. Bank crises can destabilise economies in recovery from war, and their fiscal burden takes resources away from development and poverty spending – thereby threatening ‘post-conflict’ reconstruction itself.